As a small business we take pride in providing high quality, feature rich and attractive websites to our clients across Minnesota. ActiveMark started as a collaboration between two freelance web developers with the goal giving our clients more for their money - better websites, better customer service and more options. With the combined experience ActiveMark produces corporate quality, mobile ready websites built to help your small business grow. Call or Visit our website today to schedule an appointment or request a proposal. We look forward to working with you! 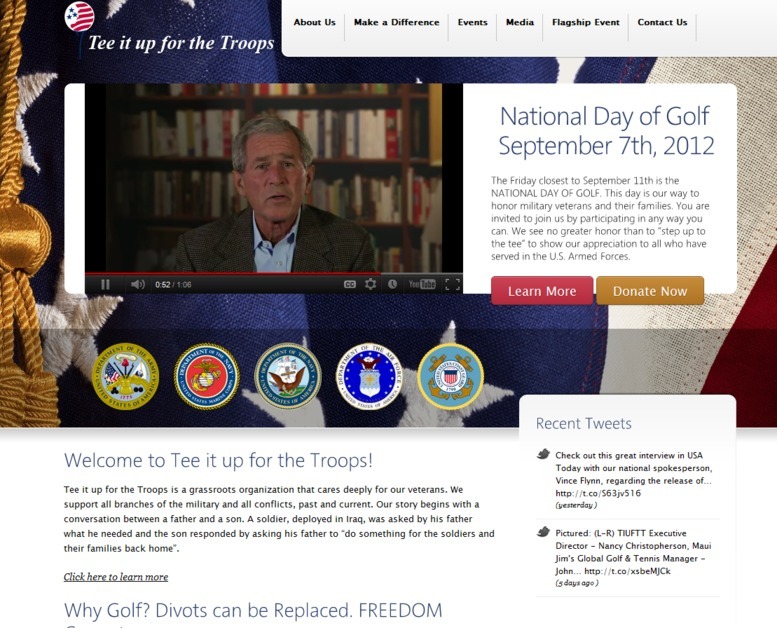 ActiveMark's homepage design for Tee it up for the Troops, a national charitable organization.